The Canine Cancer Campaign was a project of Morris Animal Foundation. The campaign ran from 2007 to 2012. It was an awareness and fundraising initiative to give scientists genetic tools to study cancer, to help researchers test treatments and determine ways to prevent cancer, and to train new canine cancer researchers. Thanks to the support of dog lovers throughout the country, Morris Animal Foundation was able to provide more than $5 million in funds for more than 45 canine cancer studies during the five-year period. Many of these studies are still under way and already completed studies have helped create inroads for dogs to beat this disease. The Morris Animal Foundation is proud that the Canine Cancer Campaign met its initial objectives, but to use marketing resources more efficiently, the Foundation stopped promoting the campaign as a separate entity in April 2012. The Foundation remains committed to developing new ways for veterinarians to detect canine cancer earlier, identify better-tolerated and more effective canine cancer treatments, and ultimately find a cure for these devastating diseases. 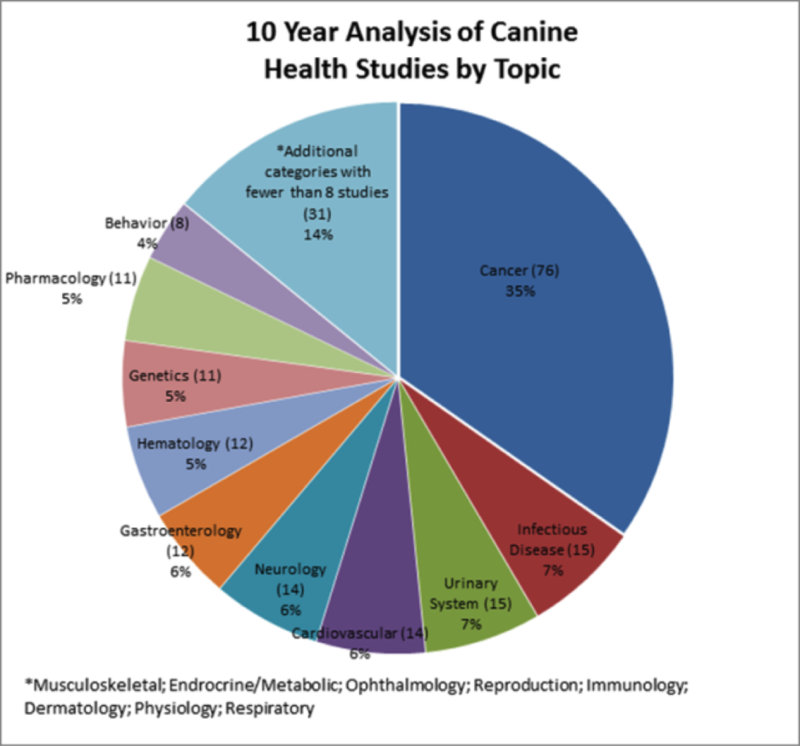 Over the past 10 years, more than one-third of all canine health studies have focused on canine cancer. Morris Animal Foundation has pledged nearly $5.5 million for studies currently under way, and at the Foundation’s annual meeting in June 2012, more than 40 percent of the new canine studies approved for funding focus on cancer. Please consider donating to MAF to keep these studies funded and growing.